Courtesy of C21 Fine Homes Judge Fite, Troy Olson. Under 400K! Award winning FRISCO ISD! Do you need room to grow? This is the perfect home for you! Gorgeous Beazer house with over 4,000 sq. ft, 5 bedrooms and 3 bathrooms. Greeted by your private study with French doors, your home opens up to an amazing open floorplan featuring the family room with a stone fireplace and a Chef’s kitchen with tons of cabinet space. Very large game room and media room upstairs with built in shelving and plenty of space for entertaining guests! 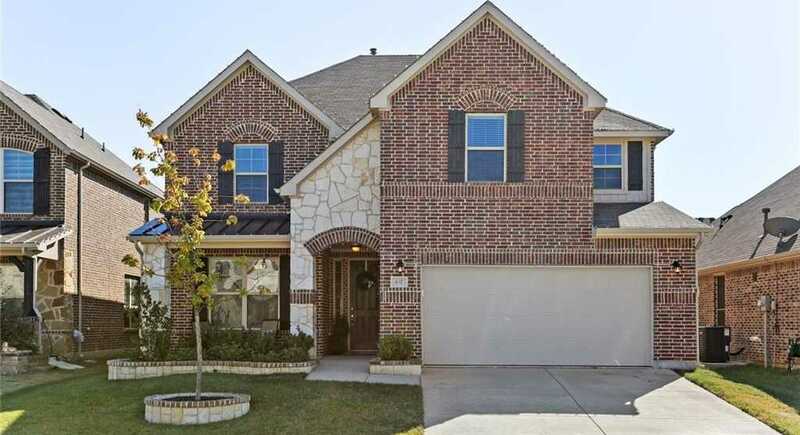 Home is built in 2015 in a family friendly neighborhood near parks, in highly rated schools with a community swimming pool. Schedule a showing before its too late!